Just a few years old, this Executive Villa has is located on a quite street overlooking a lake, the golf course, and the mountains. Vibrant art throughout. 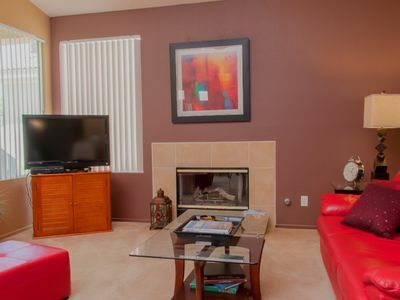 Fireplace, King and King Master Suites, open kitchen, covered patio, office/library, and much more. Excellent unit for one or 2 couples. Breathtaking mountain views, cool soothing waterfalls, brilliant blooming flowers, and acres of lush green rolling fairways. 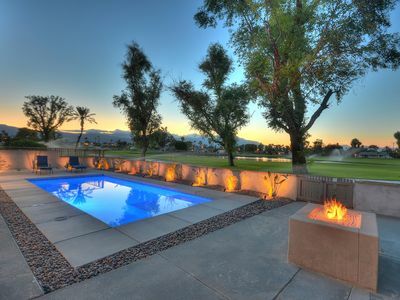 This and so much more awaits you upon your arrival at your private retreat at Desert Princess Country Club. 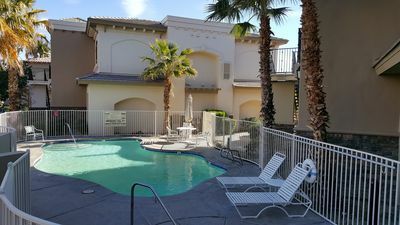 The Country Club Collection at Desert Princess offers you all of the amenities of a top quality resort hotel suite - but at a fraction of the cost. 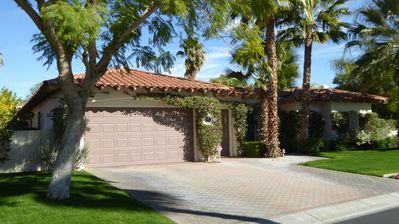 These warm and intimate vacation condos and villas are all single story and located on the golf course with excellent views. 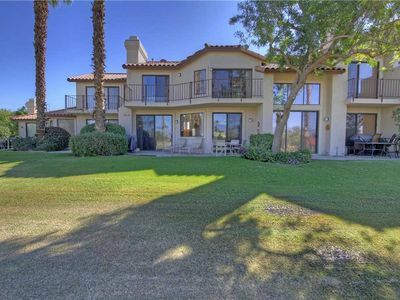 Sliding glass doors from both the master bedrooms and living rooms open onto a fully covered patio, and frame a spectacular view of the lush rolling fairways and mountains. 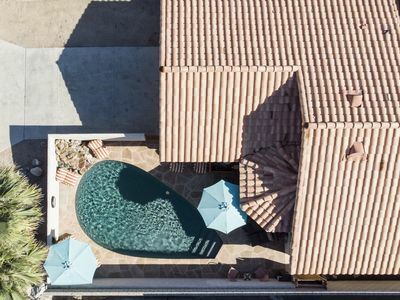 Bike, hike, swim, golf or just relax on over 350 acres in this fully gated desert oasis less than a 10-minute drive to fabled Palm Canyon Drive, Rancho Mirage, the Convention Center, and the Palm Springs International Airport. 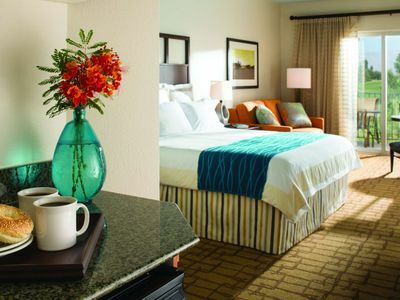 Other features that will enhance your stay include fully furnished kitchens, DVD/CD players, Hunter ceiling fans, bedroom TVs, skylights, washer/dryers, dishwashers, gas grills, double sinks in the master bath, and stacks of good books, CDs and movies. 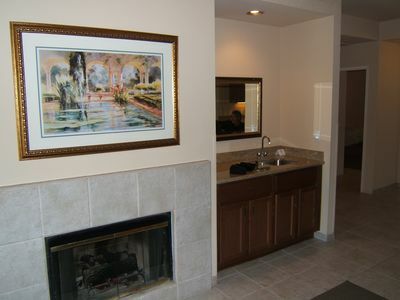 Many units also have fireplaces. Our 2 bedroom units sleep up to 4 guests. Our 3 bedroom maximum is for 6 people. 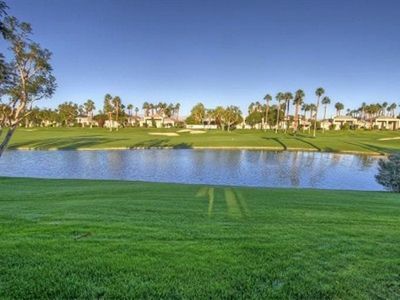 Guests at Desert Princess Country Club have access to the club's 27-hole championship golf courses (PGA rated), a fully stocked pro shop, driving range, 2 putting greens, and clubhouse with a dining room and bar featuring Happy Hour. 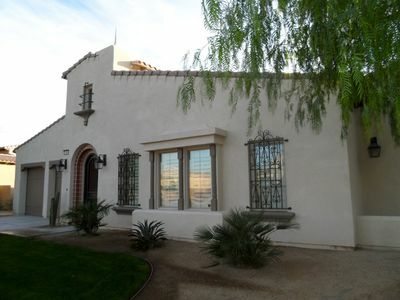 The tennis clubhouse overlooks 10 tournament style tennis courts, including 8 lighted courts. And 33 sparkling pools and Jacuzzis are sprinkled throughout the resort, including one overlooking the golf course that lies no more than 20 yards away. 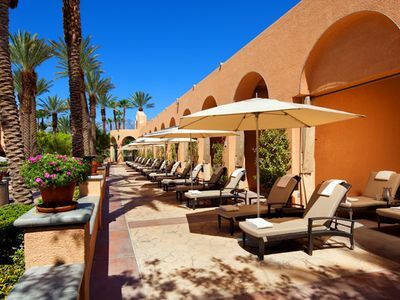 Guests are also invited to visit the Spa and Fitness Center. Check for specials. 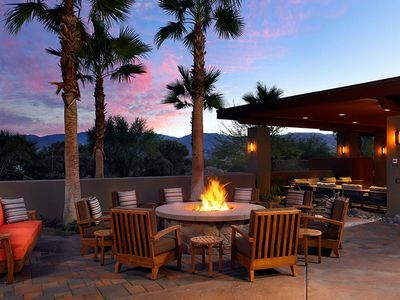 The Desert Princess Resort Hotel, with additional restaurants and bars, is also located on the grounds of the Country Club. 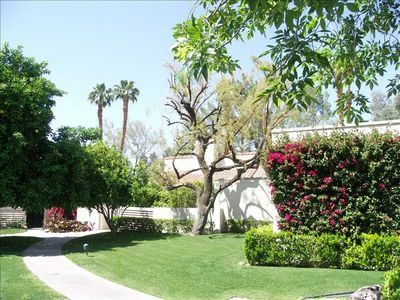 And 2 other golf courses, just 5 minutes away, are open to guests staying at Desert Princess. Our house rules: not suitable for infants under 2, no smoking, no parties or events, no pets. Guests required to be 25 or older unless with Family. Thursday for arrival Friday, etc. (Children count in the total). other arrival info per the email provided to us by CanadaStays. Great Value! On Golf Course! 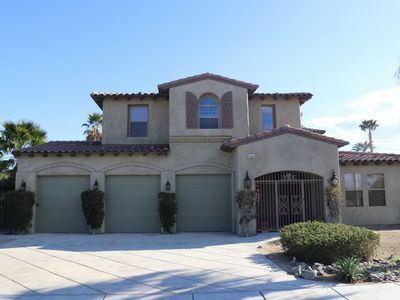 3 bed/3 bath! Fantastic 3 Bedroom House with a Pool!! 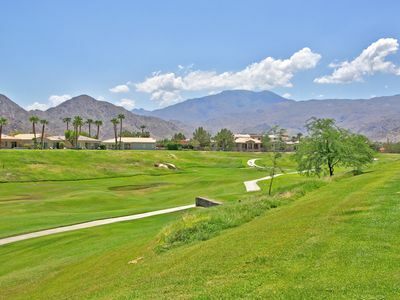 VV523 - Palm Valley CC - Great Views! Nice Décor! PET FRIENDLY! 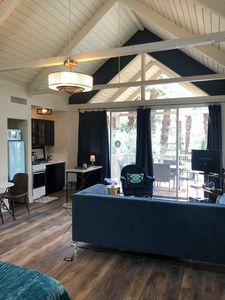 Coachella 2019 @ Marriott Villas !! !